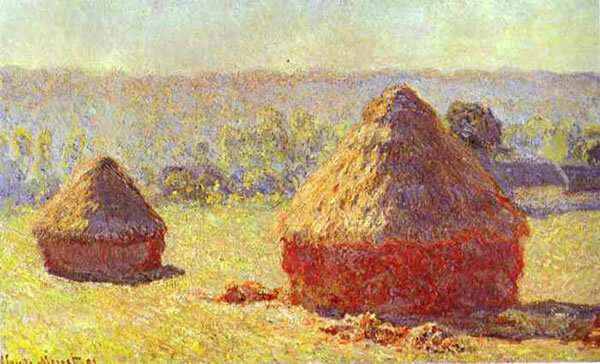 In 1890-1891 Monet produced a series of about 25 paintings of haystacks. He used these canvases to show how a single subject could change depending upon the time of day, the weather, and the season of the year. 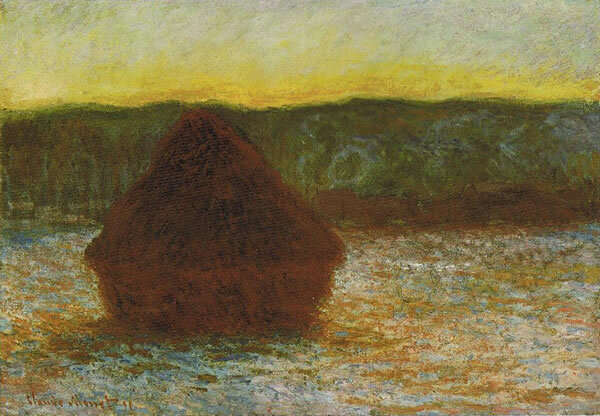 Although each canvas has a constant image, the haystacks, each image is unique and evokes a different mood from the viewer. 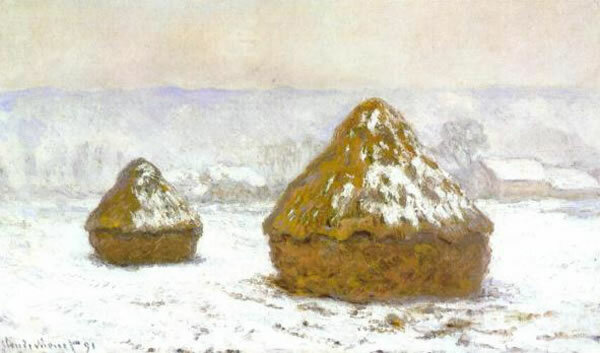 Claude MonetHaystacks, (Snow Effect) 1890-91. National Gallery of Scotland, Edinburgh, Scotland. 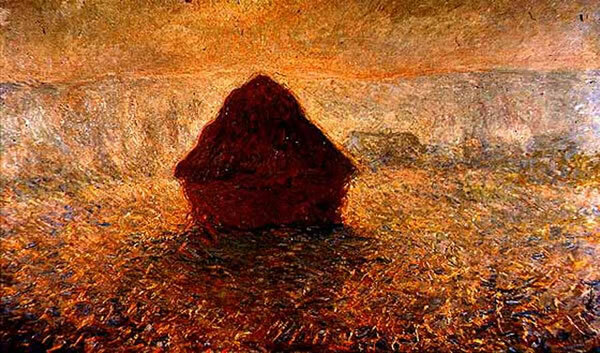 Claude MonetWheatstack (Thaw, Sunset) 1891. Oil on canvas. The Art Institute of Chicago, Chicago, Illinois. Claude MonetHaystacks, (Midday) 1890-91. Oil on canvas, 65.6 x 100.6 cm. National Gallery of Australia, Parkes, Australian Capital Territory, Australia. 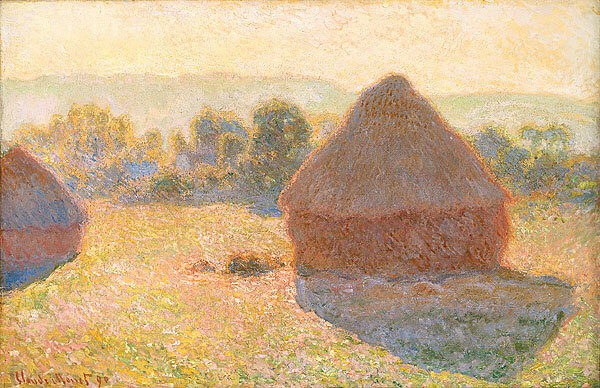 Claude MonetGrainstacks in the Sunlight, Morning Effect 1890. Oil on canvas. Private collection. Claude MonetHaystacks on a Foggy Morning 1891. Oil on canvas. 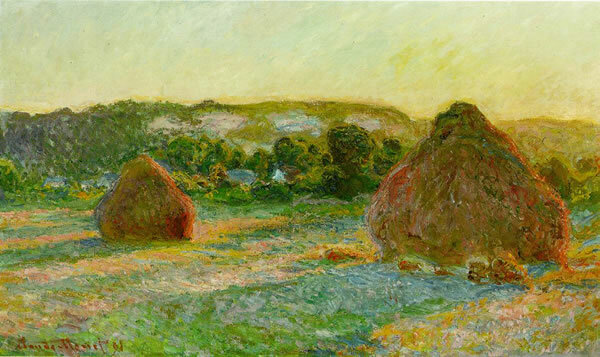 Claude MonetHaystacks, End of Summer, (Morning Effect) 1890-91. Oil on canvas, 60.5 cm x 100.8 cm. Musée d’Orsay, Paris, France. 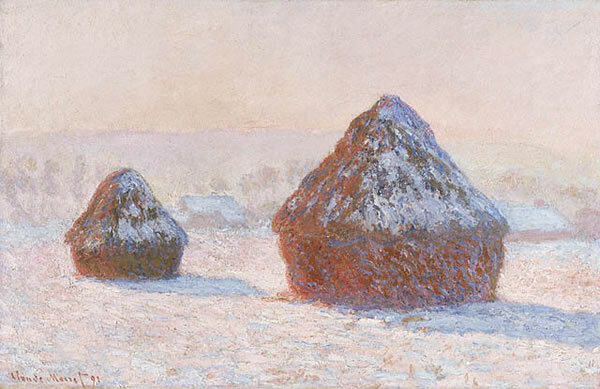 Claude MonetWheatstacks, Snow Effect, (Morning) 1890-91. Oil on canvas. J. Paul Getty Museum, Los Angeles, California. 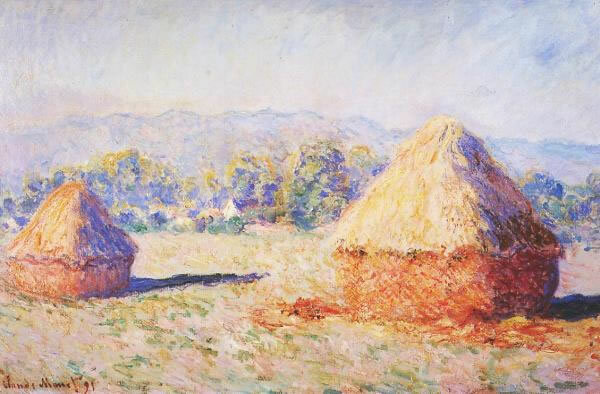 Claude MonetGrainstacks in Sunshine 1891. Oil on canvas, 60 cm x 100 cm. Kunshaus Zurich, Zurich, Switzerland. 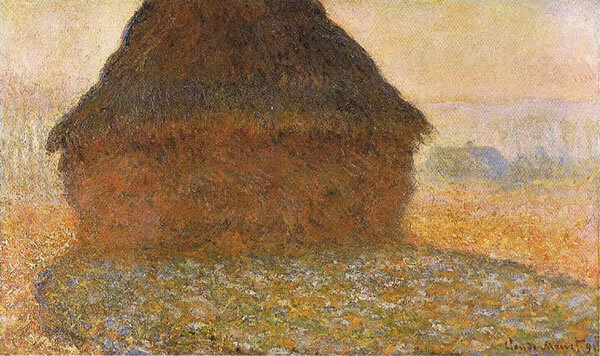 Claude MonetStacks of Wheat, (End of Summer) 1890-91. Oil on canvas, 60 cm x 100 cm. Art Institute of Chicago, Chicago, Illinois. Download the Printable Game! For Free!